HILARIOUS: Elizabeth Warren Accidentally Bashes Hillary Supporter…How EMBARRASSING! The major differences between Progressive DemocRat politicians and Conservative businessmen is the former wants bigger government to confiscate higher taxes from middle class Americans so bureaucrats can then redistribute those funds to their pet organizations that then funnel that money back into the hands of the DemocRat politicians, as in the way the Clinton Foundation works. The latter group, i.e. conservative leaders, want to simply give companies tax breaks so they can reinvest that money back into their companies to expand and create more jobs. That’s how capitalism works and that’s how you get more unemployed people back to work, which is something that has seemed to have escaped the understanding of liberal Progressives. 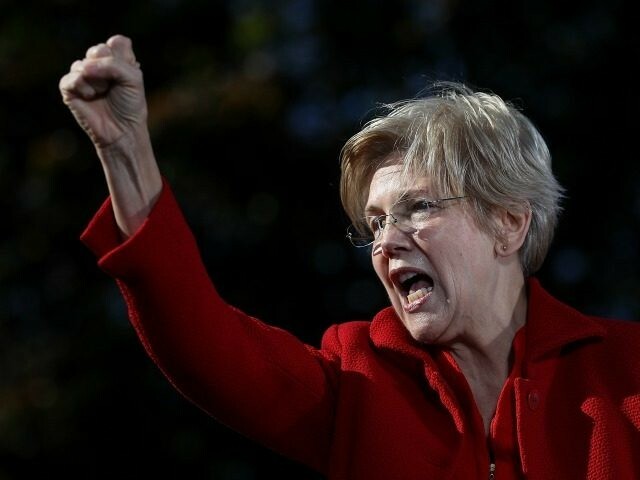 Senator Elizabeth “Pocahantas” Warren is one of those half-baked, liberal Progressives who thinks greed and corruption is “wanting to keep everything you make and not being forced to give half of it to the federal government” to pay for more wasteful, inefficient government programs. Here’s what she said about a member of her own party who dared to try and make something positive out of a Trump administration. Well, it’s not like the DemocRats haven’t been doing that for 8 years, and many of them (Clintons) have gotten filthy rich doing it. “I’ve donated money to her, attended her [Hillary] events, and did everything in my power to stop Donald Trump,” Tilson says. This is a case of the left going so ballistic over Trump’s election they’re shooting themselves in the foot and cannibalizing each other, but we have no complaints about it, really. The further off the rails the liberals go, the better they make the Trump administration look to average Americans wanting a little more normalcy back in their lives.